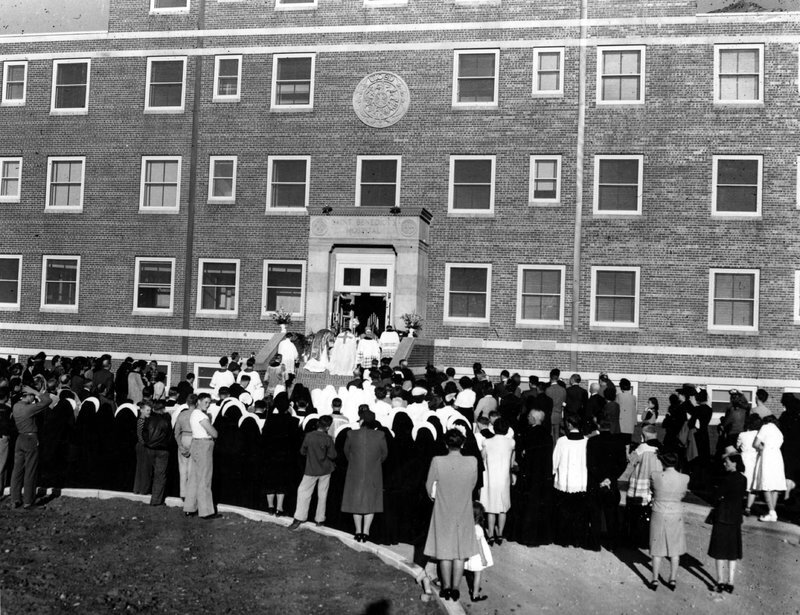 St. Benedict’s Hospital was the second built in Ogden to serve a growing population. In 1940, the people of Weber County became aware that the hospitals they already had in the area could not accommodate the growing population brought in by the new Hill Air Force Base. Despite the need, however, there was no public money for a new hospital, and so they were left with two options, a government hospital or a Catholic hospital. Monsignor Giroux of St. Joseph’s Catholic Church was asked to find a group willing to bring a new hospital to the Ogden area, and he found a convent in St. Joseph, Minnesota that had over 1,200 sisters. The Mother Superior was initially hesitant until Monsignor Giroux showed up on their doorstep a week later stating, “I came to get my sisters.” Shortly after that, the Sisters of St. Benedict of St. Joseph, Minnesota came to Ogden with the intention of funding, building, and staffing the hospital themselves. 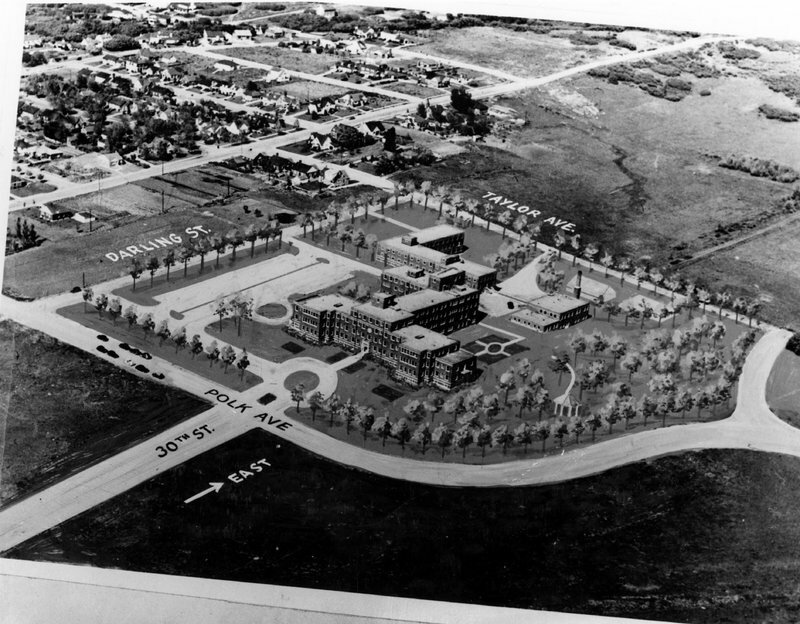 In August of 1944, they broke ground and construction was completed in May of 1946. From May to September the Sisters spent every day getting the hospital ready for its opening, doing tasks ranging from scrubbing new tile to making linens for the operating room. 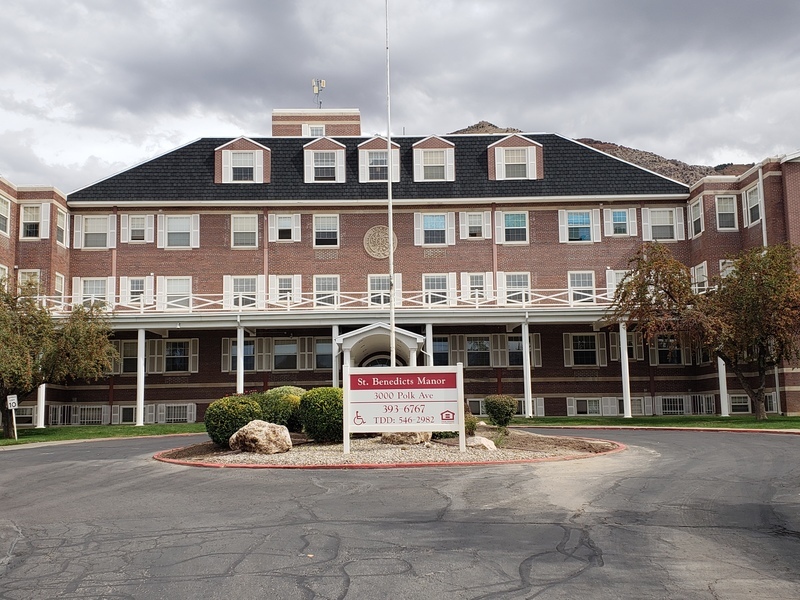 Upon the hospital's opening in September of 1946, the Sisters moved into both clinical and administrative roles within the hospital, lending their extensive expertise to delivering the level of care sorely needed in the Ogden community. 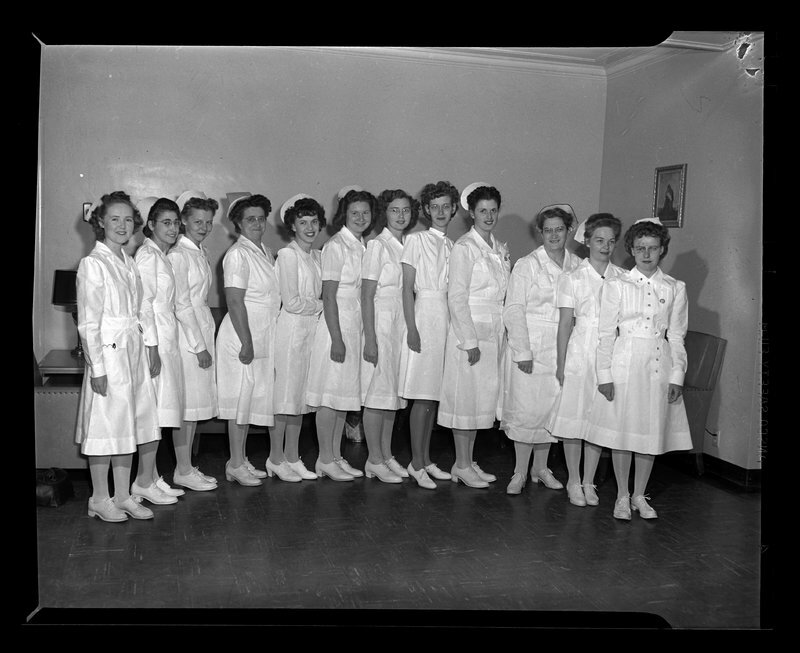 In the spring of 1947, the Sisters opened a nursing school based out of the hospital. In 1966, the school moved to Weber State University and became the foundation for their Practical Nursing Program. The last class graduated from the school at St. Benedict's Hospital in 1968; over 19 years it had put out 357 new nurses. In 1977, the hospital's success demanded an expansion and a new location, ending its 31 year home on top of the hill. 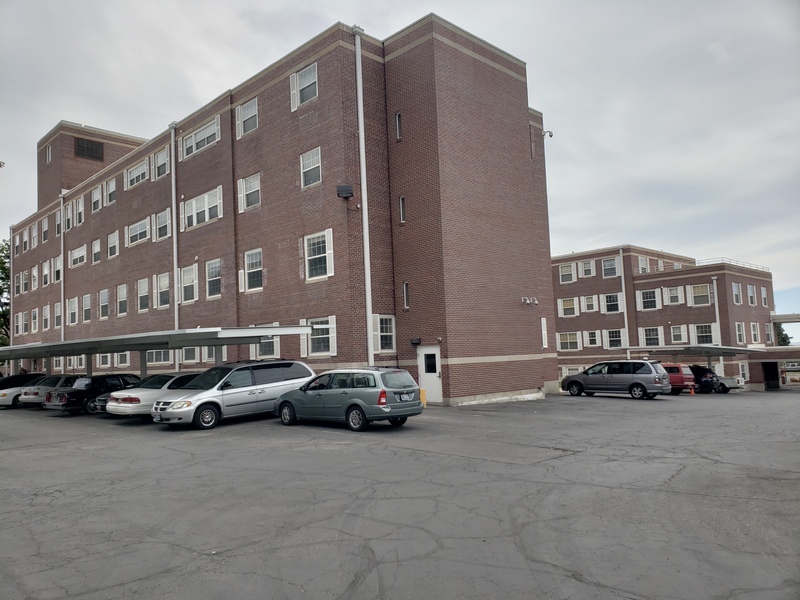 After the sisters sold the building, it became St. Benedict’s Manor, a senior care facility, now a HUD Apartment. A new hospital was built in South Ogden. That hospital was eventually sold by the sisters to become Ogden Regional. While no longer in the same place or run by the Sisters who built it, care is still given with same original mission: to care for the sick "as if they were Christ in person." ,” Intermountain Histories, accessed April 20, 2019, https://www.intermountainhistories.org/items/show/275. DeVoy, Beverly. "Hospital Has New Name But Same Mission," Deseret News, August 27, 1994. MacKay, Kathryn L. "Sisters of Ogden's Mount Benedict Monastery," Utah Historical Quarterly 83 (Summer 2009): 180-193. Walker, Joseph. "'Spiritual Presence': The Nuns of St. Benedict's Say Goodbye to Utah," Deseret News, June 8, 2013.